After School is a small residential school in Phyang Village for around 20 girls. The School works with extremely impoverished girls that failed their grade 10 exams and want to make another attempt to pass the exam and reintegrate into the educational system. After School provides a very critical last chance for girls that mostly come from under-resourced village schools. Due to a very gifted teacher and staff they school enjoys remarkable success with very limited resources. In India if you fail your grade 10, 11, or 12 exams then your options become very limited as it ends your public education. ​How will funds be used? The following is a list of some of their more urgent needs. Since we don’t know how much success we will have raising funds for them we will leave it up to their discretion how to best use funds for anything on the list. Please feel free to contact me to discuss anything about this effort and we will travel to meet anyone with a keen interest in helping if you want more in-depth information. We can also provide contacts if you wish to communicate directly with the school administration. 2 bathrooms with showers $3,200. Currently there is only one shower for about 20 girls. 20 new mattresses $1,300. The present ones are 1” thick, rather old and worn out. 20 floor cushions and tables $600. For studying as there is no furniture in the classroom now. 10 sets of metal shelving units $1,900. For personal storage in the dormitory. Library Resources $500. This will include bookshelves and books. 2 Library computers for students $1,000. 1 Laptop for teachers use $500. Salary for Teacher Assistant for 1 year $3,000. A minivan is needed for transporting food, supplies, and for student outings. Girls at After School are only charged a small fraction of total food costs. These supplemental funds will allow the food fee for the students to remain affordable. An investment of $50,000 will add basic comfort and resources to the lives of 20 young Ladakhi women striving to educate themselves for a better tomorrow. Kindly consider making a tax-deductible donation. 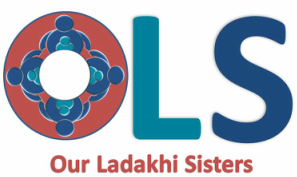 OLS is a registered 501 (c)(3) nonprofit corporation. For online donations you may use the Donate button below.